Mediation is a non-judicial proceeding which has begun to play an increasingly prominent role in bankruptcy. In mediation, a third party neutral (the mediator) listens to a dispute with the hopes that all sides can overcome their disagreements and find common ground. Used most commonly in large Chapter 11 bankruptcies, mediation has begun to appear more and more in Chapter 7 and Chapter 13 cases in Florida. If done successfully, mediation allows parties to settle a dispute in a manner that works for everybody. Mediation is like negotiation, except the parties involved have a third person in the room with them who acts as a neutral facilitator. The mediator is not a judge and does not decide anything. The mediator also isn’t a referee. Instead, his or her job is to get everyone to communicate about the dispute and try to reach a mutual agreement for its resolution. Mediation is also voluntary. No one can force any party to accept a resolution they disagree with. Instead, any party can walk away, and a judge will need to decide the dispute instead in court. Mediation is therefore risk-free. When is Mediation Used in Bankruptcy? In a Chapter 11 bankruptcy, impaired creditors must approve a reorganization plan. Because they will not get 100% of the debt they are owed, these creditors are often resistant and try to block the approval of any plan. Mediation can help break the stalemate and get creditors onboard. For example, if a debtor paid more to one creditor right before filing for bankruptcy, the trustee might want to claw back that extra money as a preference. However, the trustee could struggle to get the payment back from the lender, which is where mediation could come in. Mediation has also been used successfully in Chapter 13 bankruptcies where a debtor wants to avoid a foreclosure on their home. The bank and the debtor meet to discuss reducing monthly mortgage payments or forgiving some of the mortgage principal, all with the goal of keeping the debtor in the home. 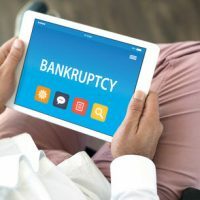 Lenders have an incentive to negotiate inside a Chapter 13, because they will not be able to get a “deficiency judgment,” which is the difference between the amount the debtor owes and the value of the property they foreclose on. For example, a mortgage might be for $200,000, but the home is only worth $150,000. There is a $50,000 deficiency. When the economy tanks, property values fall, meaning that the lender would suffer serious losses. If you intend to file bankruptcy, or if you are in the middle of a contentious bankruptcy, we can help. At Nowack & Olson, we have helped people in Plantation successfully complete bankruptcy and discharge their debts. For more information about how we can help, please contact us today. You can call 888-813-4737 to schedule a free initial consultation.